Do you want to learn how to make an impact on our world that will last for eternity? Would you like to learn how to be a disciple of Jesus who makes other disciples and hear about how this has the potential to change the world? Roger Hershey, veteran Cru staff member and author of the book, “The Finishers”, has been used by God to make an impact on hundreds if not thousands of lives through making disciples. 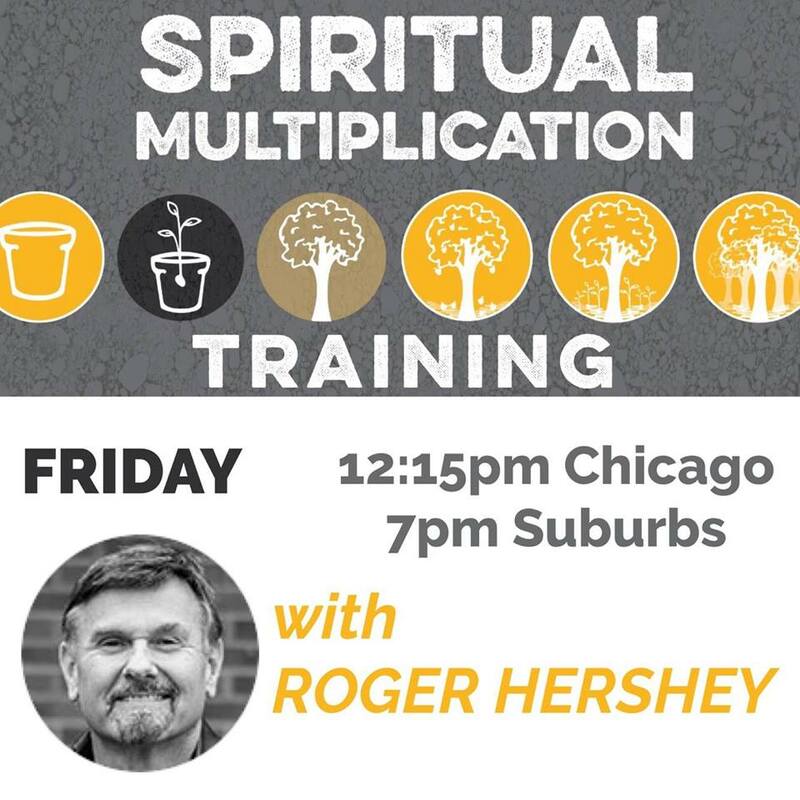 Join us on Friday, October 6th as Roger will offer spiritual multiplication training at two different Chicagoland locations. Pizza will be provided at both locations. The events are free if you sign up by the end of the day on Thursday, October 5th or it is $5 at the door. Register for the City Training at 12:15 PM at the Willow Creek Ministry Center (418 South Wabash Ave). Register for the Suburb Training at 7 PM at 1919 South Highland Ave, Building A, Suite 300, in Lombard, IL.